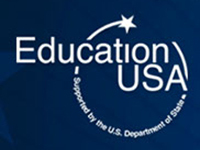 EducationUSA is a U.S. Department of State-supported network of hundreds of advising centers around the world. EducationUSA provide international students with accurate, comprehensive, and current information about how to apply to U.S. colleges and universities. International Student Guide of the USA: This webpage has a library of articles about choosing a study abroad program, preparing for college life, different types of programs , testing and applying for admission, and adjusting to American culture. Study in the States: This Department of Homeland Security website focuses on keeping international students better informed about student visa rules and regulations. It includes the latest information and resources for international students and school officials through blog posts, news articles, interactive guides, and videos. eduPass! : This website is a smart student guide to studying in the USA. It includes information on admissions, cultural differences, living in the USA, learning English as a second language, etc. iStudents: InternationalStudents.Org provides information on choosing a school, surviving in the U.S., academic tips, and much more. Pre-departure Orientation: This website is a pre-departure guide tailored to Chinese students, but much of the information also applies to students from other countries. This website addresses issues such as improving English, academics, social life, culture, health & safety, etc. USCampus.com: This website includes information about how to search, select, and apply for schools in the U.S.
Campus Resources for IS: Are you aware of the many resources that U.S. campuses offer for students. Here is a list of the most important ones that you should know about. PeerTransfer Blog: This blog is hosted by peerTransfer, which include various articles to help you learn more about life in the U.S. The International Student Blog: This blog is hosted by InternationalStudent.com. It includes many articles under various topic categories. David Livermore Global Thinker & Author: This blog has articles and resources related to Cultural Intelligence (CQ), which is the ability to be effective across cultures. NAFSA – Association of International Educators: Supporting International Students and Scholars. This is the main organization for international education. U.S. Citizenship and Immigration Services: U.S. Government website for information on visa issues. OpenDoors: This is a comprehensive information resource on international students and scholars studying or teaching at higher education institutions in the United States. You can find various stats on this population through this website. IS Economic Value Tool: Here you can find information on the economic impact international students have in the U.S. from 2003-2012.
International Student Experiences: Dan Fishel talks about the process of culture shock at the Columbia Business School Orientation for international students. This is a 5-part video series (1-Culture Shock, 2-Culture Shock, 3-Social Adjustment, 4-American Handshakes, 5-Academic Adjustment). Multimedia of International Students: This Michigan State University website features videos of the dialogue between American and Chinese students.